Dollop Coffee Company to Open Two New Community-Driven Cafes this Spring - Solstice Communications, Inc.
Dollop Coffee Company, owner Dan Weiss’s Chicago-born neighborhood café with multiple locations throughout the city, will open two new cafés this spring at Wells and Erie and in the South Loop. 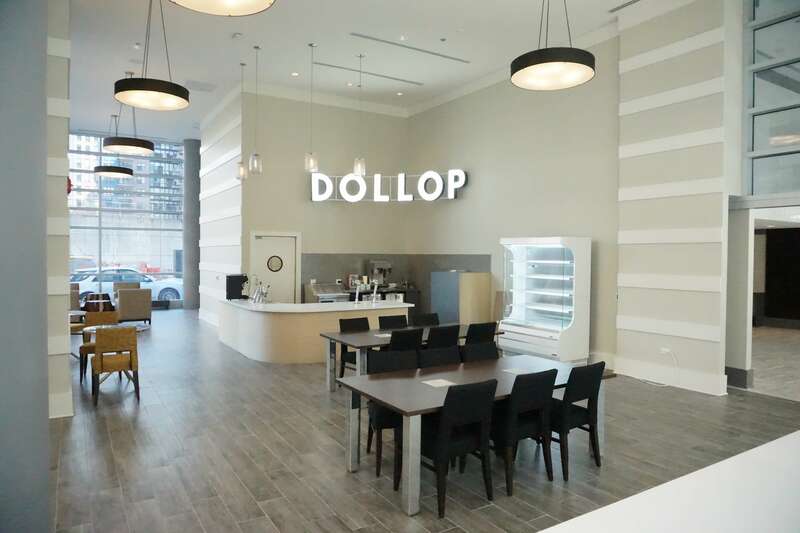 Dollop’s new locations will continue providing delicious coffee and pastries to Chicagoans with a community feel. Dollop’s new Wells café, located at 643 N. Wells St., will be one of its largest locations with approximately 2,800 square feet. 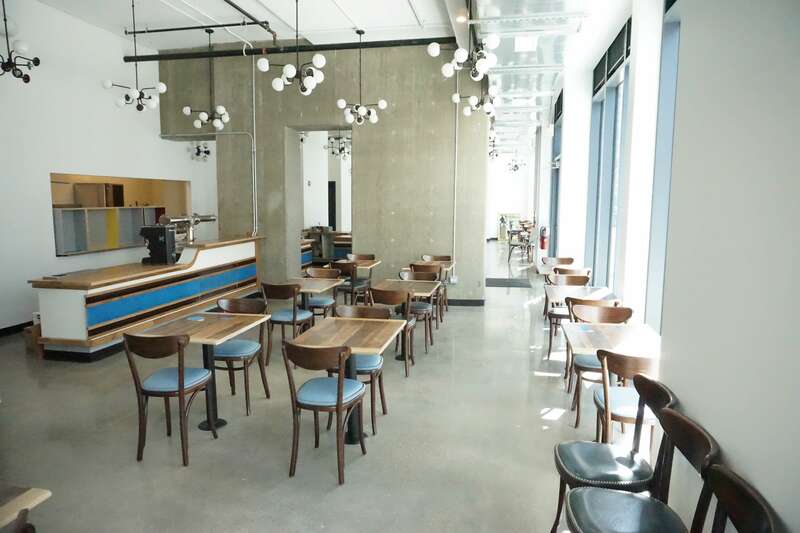 The new café will feature Dollop’s ever-popular coffee and house-made pastry program, lunch, plus made-to-order Dollop Diner-inspired breakfast sandwiches and waffles. Cocktails on draft, local beer, wine, an evening snack menu and happy hour specials will also set this café apart and help make it a fixture in this River North neighborhood. For the coffee enthusiast: Dollop’s Wells St. café will utilize the cool new Poursteady automated pour-over coffee machines. The new South Loop café, located at 801 S. Financial Pl. just off the lobby of a 450-unit residential high rise, will feature breakfast sandwiches, fancy coffee drinks from a Modbar, modular under-the-counter, espresso machine, a rotating seasonal cold brew menu, draft cocktails, beers on tap, lunch and evening snacks, along with plenty of outdoor seating. Fans of Dollop’s coffee, food, and other locations are sure to rejoice that there will be even more Dollop locations for Chicago to love!